Mike Oliver, the leading Disability intellectual and activist died on 2nd March 2019 aged 74. This article reflects on, and celebrates, Mike’s life and achievements and his impact on the global Disability Movement – particularly through his work on developing the Social Model of Disability, which has been a huge influence on SPECTRUM as it has for countless other Disabled People’s Organisations. The article is also a personal tribute as Mike was one of my oldest and closest friends since we worked together in my first job after leaving university more than 30 years ago. 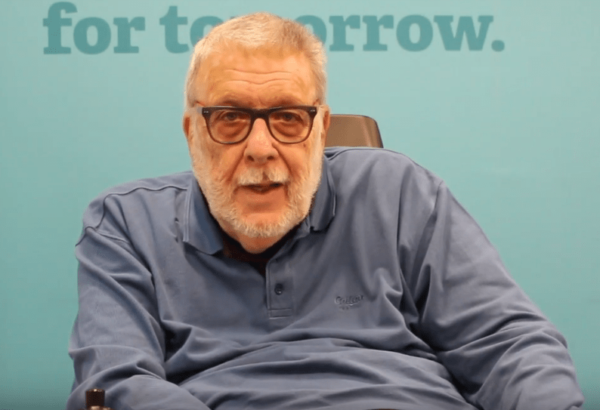 Although Mike will – rightly – always be remembered as the ‘creator’ of the Social Model of Disability, he always acknowledged that the idea built on the collective thinking within the early Disability Movement. He was particularly influenced by the ‘Fundamental Principles of Disability’ produced by the Union of the Physically Impaired Against Segregation (UPIAS) in 1976 and other prominent activists like Paul Hunt and Vic Finkelstein. There were also broader influences, including Marxist historical materialism and the Civil Rights movement. Mike always said, in any case, that nobody owns ideas – they are linked to communities but also have a life of their own. But, Mike’s real contribution – which continues to provide such inspiration and strength for so many Disabled People was to put the ideas into a simple, accessible form and – most important of all – show how they can be used as a practical tool to identify, challenge and remove barriers to Disabled People’s full inclusion. That is why the Social Model was – and remains – so powerful. He was able to do that because he was such a great communicator. He loved his work teaching students and, in fact, Mike originally developed the Social Model simply as a way of explaining Disability to his social work students – although, as we know, it quickly became so much more than that. He certainly taught me a lot about the importance of clear communication and how to get your message across. We always used to joke that whatever you asked Mike he would always say “there’s three things I want to say about that”. It didn’t matter what the question was – the answer would always be the same. There was, of course, a serious point to this as well. He always impressed on me that, in order to have any influence, you needed to know what the most important points you wanted to get across were and make sure you get those in at the start regardless of what anyone else wanted to talk about. It was very valuable advice, that has stood me in good stead ever since. His talents as a public speaker were legendary and inspiring – no one who witnessed it will ever forget, for example, his stirring speech at the ‘Block Telethon’ demonstration in 1992. When Mike spoke like that, it felt like anything was possible for Disabled People. Mike was also a formidable opponent in any form of debate. He really was not someone you could ever win an argument with. That was partly because of his sheer doggedness, but also because he was always so persuasive. He took on so many battles over the years and usually came out on top. For example, in the early 1990s Mike and some of his colleagues, including his great friend Len Barton, took the disability research community to task about both how they conceptualised disability issues and the lack of meaningful involvement of Disabled People in research. Through a ground-breaking series of workshops and debates supported by the Joseph Rowntree Foundation the whole understanding of the purpose of disability research and – most importantly – how it should be carried out was literally transformed. This led directly to the start of ‘participatory research’ – what we would now call co-production in research – guided by the principle of ‘nothing about us without us’. Mike also went to war against the World Health Organisations ‘International Classification of Impairments, Disabilities and Handicaps’ (ICIDH), which was the personification of the Medical Model of Disability. While the ICIDH has never fundamentally changed, he did succeed in influencing at least some acknowledgement of the social context to Disability in subsequent revisions. That work also led to us developing a constructive collaboration with some of the people working on ICIDH, like Gale Whiteneck and colleagues at the Craig Hospital in Denver. Mike also had a major beef with medical sociology. There was one prominent medical sociologist in particular who Mike regularly locked horns with in the 1980s and 90s over his negative – almost fascistic – view of Disability. There was never going to be any chance of winning him round (some people are beyond redemption) but at least Mike succeeded in calling him out and making sure that everyone knew the score about this particular individual. But, in the academic world as a whole, Mike transformed approaches to Disability. 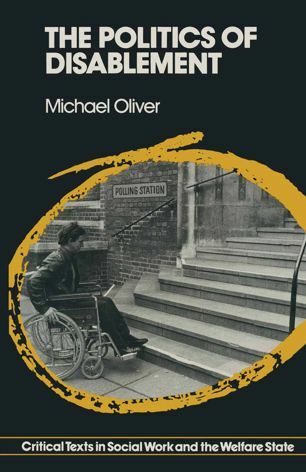 His book, ‘The Politics of Disablement’ published in 1990 established disability studies as an academic discipline and Mike himself became the first professor of disability studies in the UK. Mike also had a huge influence on public and political thinking about Disability. He played a key role in the late 1980s and early 1990s in persuading the government to introduce disability discrimination legislation. He was also influential in changing attitudes to special education for disabled children and young people leading to increasing numbers being educated in mainstream schools. For all of his near mythical status and reputation within the Disability Movement and the enormous influence he has had on shaping how the world thinks about Disability, Mike was remarkably ‘ordinary’. Indeed, reading the many tributes that followed his death was quite a strange experience for me as there was something of a disconnect between the public and private perceptions. He was most certainly a great intellectual and a supremely effective influencer but, if you just met him in the pub, you wouldn’t ever get a hint of any of that. As one of our mutual friends said to me recently – “we loved Mike for just being Mike”. As a man, he was a very grounded, practical, funny, loyal and kind person – and extremely sociable. He rarely lost his temper, although he wouldn’t stand for any nonsense either. I was on the receiving end of a few ear bashings myself from time to time – although I’d have to say they were nearly always justified. While his work and the struggle for Disabled People’s full inclusion were obviously central to his whole life, he had many other passions outside of the public sphere. As he grew older these became even more important and, in truth, Disability was something we talked about less and less over the years – although it never went away completely of course. In particular, he had a passion for poker and horse racing and we used to go the races very often for many years. Mike would love to tell you about all the cunning systems he had worked out for finding winners. And, he was pretty good at it too, making a very tidy supplement to his pension every year. He also loved Arsenal football club – who he adopted as a result of their historical local connection to Woolwich. Not surprisingly though, Mike’s biggest passion in life was his family – his son and daughter, wife and his two grandchildren – whom he adored. He remained active in his local DPO – the Centre for Independent Living in Kent – and during the last year or so of his life had been campaigning vigorously in pursuit of improvements to local wheelchair services. And, in the week before he died he had been helping a friend with trying to secure Continuing Health Care funding for her husband. As ever, he was battling right to the very end. I have so many good and happy memories of Mike. I think one that, for me at least, encapsulates who he was and what he was about comes from our regular winter holidays in Tenerife. Every morning Mike would settle in for the day on his balcony overlooking the swimming pool and, as I looked up to see him there with ample supplies of beer and reading materials to hand, I knew he was quietly contemplating the cosmos and thinking up new ways to put the world to rights. And, I knew also that by lunchtime he probably would have succeeded!